The first U.S. retrospective of Andy Warhol in 30 years, now showing at the Whitney, reveals a lesser-known version of the Pop icon. Andy Warhol (1928–1987), “Ethel Scull 36 Times,” 1963. Silk-screen ink and acrylic on linen, 36 panels: 80 × 144 in. (203.2 × 365.8 cm) overall. Whitney Museum of American Art, New York; jointly owned by the Whitney Museum of American Art and the Metropolitan Museum of Art; gift of Ethel Redner Scull 86.61a‒jj © The Andy Warhol Foundation for the Visual Arts, Inc. / Artists Rights Society (ARS) New York. Marilyn Diptyque, Silver Liz, The Big Electric Chair. The Whitney Museum of American Art recognized the importance of Andy Warhol’s work in the 1960s when it collected these iconic pieces. After 30 years without a retrospective, why Warhol now? 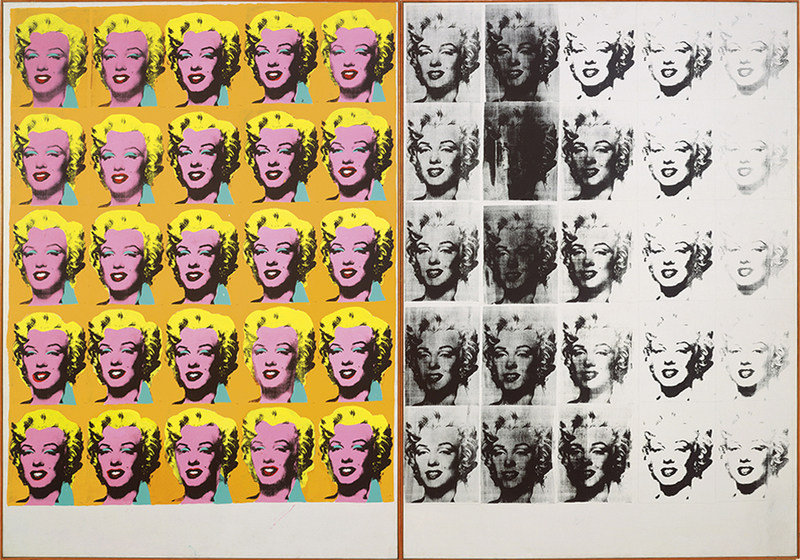 Andy Warhol (1928–1987), Marilyn Diptych, 1962. Acrylic, silk-screen ink, and graphite on linen, two panels: 80 7/8 x 114 in. (205.4 x 289.6 cm) overall. Tate, London; purchase 1980 © The Andy Warhol Foundation for the Visual Arts, Inc. / Artists Rights Society (ARS) New York. “Andy Warhol: From A to B and Back Again” aims to bridge Warhol’s prescient philosophy to our digital age. Throughout his career, Warhol deeply understood (and predicted) the power of images in American society. His work, which explored the reliability of consumer culture and celebrity objectification, is more relevant than ever in this age of Instagram and fake news. As a man who heavily documented every piece of his life through a tape recorder and camera, it would be easy to argue that Warhol was the original influencer. As the Whitney’s chief curator, Donna De Salvo, said during a recent preview of the show, many critics believed Warhol’s artistry became tepid after his renaissance in the 1960s. This exhibition proves them wrong. Rather, his message follows a clear line from his drawings as a commercial artist to his meaningful experimentations with video and abstraction in the ’70s and ’80s. 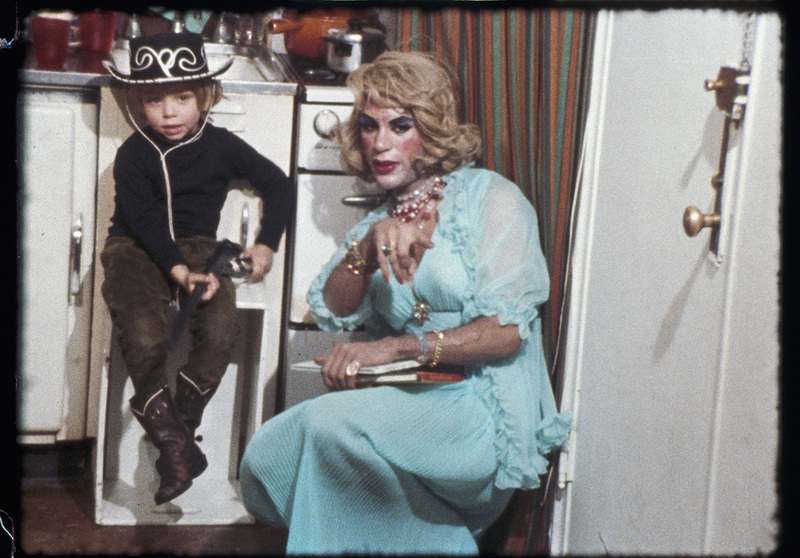 Andy Warhol (1928–1987), Ari and Mario, 1966. 16mm, color, sound; 67 mins. @ 24 fps. Pictured: Ari Boulogne and Mario Montez. © 2018 The Andy Warhol Museum, Pittsburgh, a museum of Carnegie Institute. All rights reserved. At the start of the show, you’ll encounter a whole new type of Warhol. 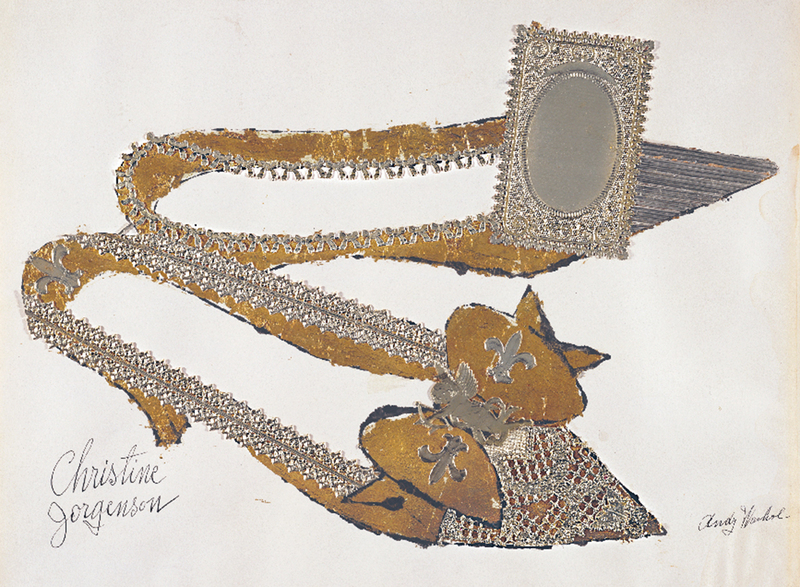 Explore the golden drawings from his first job illustrating shoes for a Glamour magazine spread titled “Success Is a Job in New York.” This education in advertising transformed his art into a lifelong marketing campaign of his own brand, as well as of American icons and symbols. Andy Warhol (1928–1987), Christine Jorgenson, 1956. Collaged metal leaf and embossed foil with ink on paper, 13 x 16 in. (32.9 x 40.7 cm). Sammlung Froehlich, Leinfelden-Echterdingen, Germany © The Andy Warhol Foundation for the Visual Arts, Inc. / Artists Rights Society (ARS) New York. Among the Marilyns, Elvises, and Mona Lisas, the 1962 Green Coca-Cola Bottles speaks most profoundly to Warhol’s message. He saw the soda brand as the height of democracy: “No one could get a Coke that could be better than anyone else’s Coke. The Queen of England and the bum on the street drank the same Coke.” Admire these widely known works—but focus your attention on his later experiments, which grappled more deeply with American psychology and identity. Rooms filled with Warhol’s work from the ’70s could seem simplistic to the untrained eye, especially after viewing his Pop Art masterpieces. These monumental paintings of guns, crosses, and skulls presented in the manor of traditional portraiture or still lifes allowed Warhol to further experiment with formal techniques. Skull is a painting based on photographs of dramatically lit craniums in his workshop. This abstracted work challenges the artistic role of photography as the medium of realistic representation. In the ’80s, Warhol became reinvigorated by the bourgeoning art scene. As in the 1960s, he refocused his attention on the political, economic, and social upheavals of the Cold War, Reagan-era reforms, and the AIDS crisis. The exhibition displays a few of the hundred collaborative art projects between Warhol and Jean-Michel Basquiat. 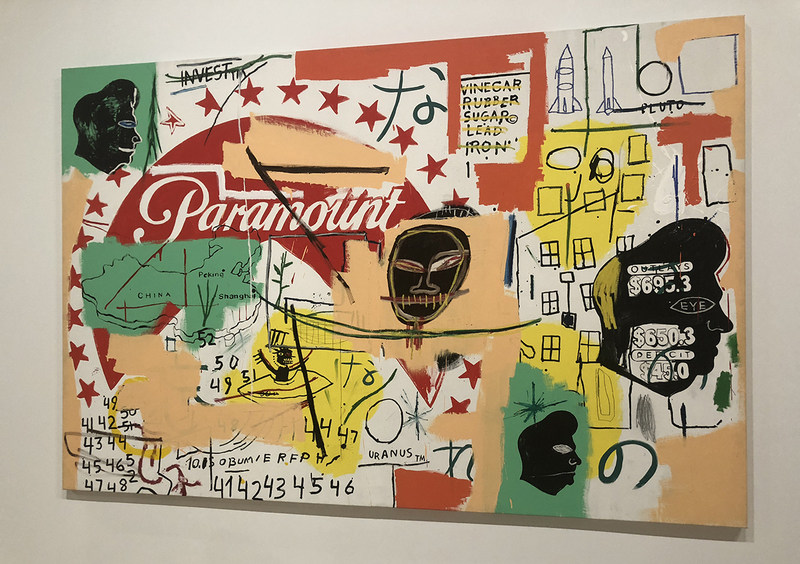 You can see the layered approach of the work in 1984’s Paramount, which balances Warhol’s more manicured style with Basquiat’s scribbles and gestures, as they both make artistic claims about capitalism and celebrity. The dichotomies between these two artists’ styles and messages, like a map of China overlapping the Paramount logo, speaks to the immense paradoxes at the core of American identity. If it weren’t for his untimely death in 1987 at just 58, Warhol would most certainly be creating colorful silk screens of the Kardashians and Vladimir Putin—arguably the Marilyns and Maos of today. You may think you know Warhol, but if you dive deep into this exhibition, you’ll discover new contours you never knew existed. Why You Should Go: Get to know a new side of Andy Warhol at this comprehensive retrospective.